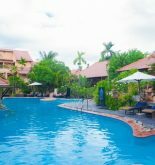 Boutique Hoi An Resort is located at a beautiful position of beach front so it enjoys many advantages in Hoi An’s restaurant, sports and the center business. The hotel is just distant the city center 5,0 km without being too far so normally it merely takes about 40 minutes to get to the airport. 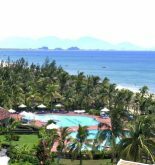 Most of tourists of hotel satisfy very much the hotel’s position due to they can visit the main tourist destinations of city easily as Tra Que vegetable village, Cua Dai beach. Let you enjoy countless unrivaled services and facilities in this hotel: family room, internet service, baby sitting service, meeting room equipment, parking which are merely some of many equipment in hotel. In addition, all of living rooms are equipped special facilities as wired internet access (free), shower, bathtub, desk to satisfy all of tourists especially the prissy people. 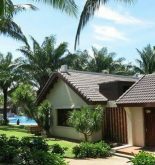 Private beach, outdoor swimming pool, massage, garden, spa are the ideal places for relaxing and unwinding after a busy day. Address: group 6, Tan Thinh block, Cam An ward, Hoi An, Quang Nam, Vietnam. 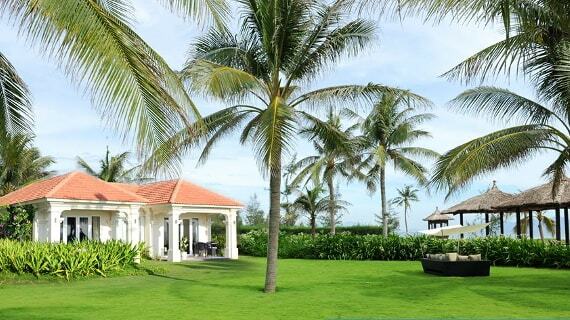 This information has been supplied by Boutique Hoi An Resort.